There is a lot of misconception regarding – Who is a DevOps Engineer? Is he the guy who writes code and is also responsible for the work of a System Engineer? Well! Not exactly. In this post, I will clear all your doubts regarding the roles and responsibilities of a DevOps Engineer. Go through this Edureka video on “DevOps Engineer” delivered by our DevOps certification expert which will explain what does it take to become a successful DevOps Engineer, and what industries are looking for in a DevOps Professional. But before we move forward let me give you a quick introduction to what is DevOps? Check out the other blogs in the series to understand DevOps and its various tools/ stages. Now, let us understand who is a DevOps Engineer? DevOps Engineer is somebody who understands the Software Development Lifecycle and has the outright understanding of various automation tools for developing digital pipelines (CI/ CD pipelines). DevOps Engineer works with developers and the IT staff to oversee the code releases. They are either developers who get interested in deployment and network operations or sysadmins who have a passion for scripting and coding and move into the development side where they can improve the planning of test and deployment. But what will be your role in a company? Let’s look at the various DevOps Job Roles. Now that you know who is a DevOps Engineer, and what are the various roles and responsibilities of a DevOps Engineer, let us have a look at what does it take to become a successful DevOps Engineer – DevOps Skills. We are going to look a DevOps Engineer job description from Rackspace to understand what industries demand from a DevOps Engineer. Good hands-on knowledge of Configuration Management and Deployment tools like – Puppet, Ansible, Chef, Terraform etc. To know more you can read my blog on – DevOps Skills. Well, I am pretty sure a lot of you must be wondering what the salary of a DevOps Engineer is, let me address that doubt of yours in the next section. Well, DevOps Engineer is one of the most highly paid job roles in the world. Obviously, salary depends on multiple factors like – company, skills, geography etc. I hope you have enjoyed my post on DevOps Engineer, got a question on the topic, mention it in the comments section. If you are looking for online structured training in DevOps check out Edureka’s DevOps Masters Course Content. 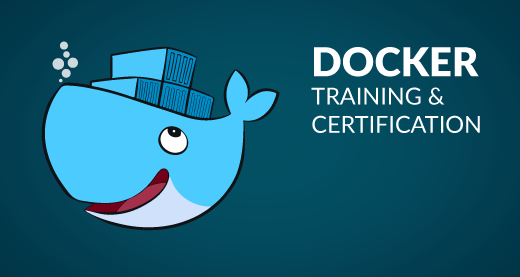 The curriculum is designed after extensive research on 5000+ DevOps Job Descriptions. It includes 2000+ hours of interactive learning and 12 courses, this will set you on the path of becoming a successful DevOps Engineer.